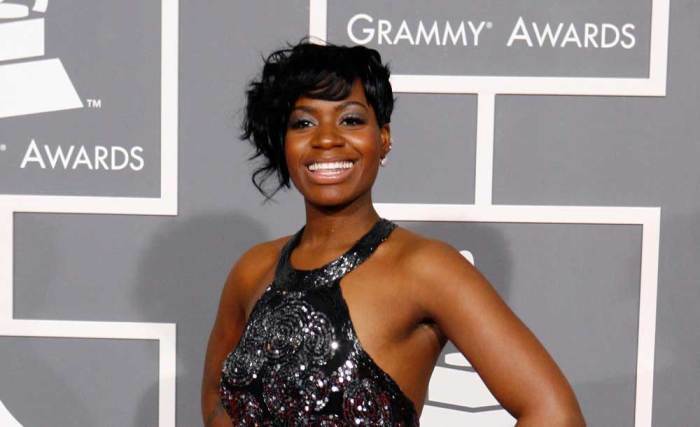 Fantasia Barrino may have an unreleased song with gospel music singer Tye Tribbett. The 31-year-old singer decided to respond to one fan's curiosity about her previously recording a gospel music track. "I remember watching periscope and you had a gospel song you were working on," one fan tweeted the singer, to which she responded: "I Made It! @TyeTribbett is the TRUTH! #TheDefinitionOf." While the details of Barrino's gospel song are not yet clear, she did previously announce that she wrote her first gospel song last year. She took to Instagram to give fans a glimpse of it. "I just wrote my first Gospel Song. All by Myself," Barrino captioned the image on her Instagram page. "Not sure what's happening but all I can say is the enemy has really been testing ME. Thanks @von_cocapt for this track." In the video, Barrino makes it clear that she wrote the song which can be heard playing in the background. The singer appears somber, and shakes her head while introducing the snippet to fans. "I was able to release everything I was carrying," Barrino said in the video. "I hope you like it." Still, she has made it clear that she won't be releasing a full-fledged gospel album anytime soon since she believes God is already a part of her music. "I get a lot of questions about doing a gospel album.. what I do is gospel," Barrino revealed. "I take God with me everywhere I go." Barrino has been vocal about her Christian faith for some time and previously spoke about God having a plan for her life. "God put me here for a reason," Barrino told "Access Hollywood" in 2013. "When you look on TV or turn on the radio or all the newspapers and the magazines, it was always something negative, and no matter how many things I did that were positive that never came out, so that was the hardest for me at that time. Now I really don't care anymore." The singer said she has found an inner peace and is focusing on serving as an inspiration to people these days. "I had to just find peace," she told "Access Hollywood." "The people who go through things every day, normal things, we're all human. So for me, if I can just help 10 people and five don't like it, as long as I have those 10, I'm good to go."